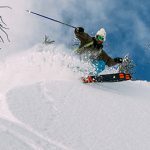 Nordica builds on the legend of its All Mountain-owning Enforcer line, a favorite of GS-style skiers who love to arc accurate medium-radius turns, with the Enforcer 110. 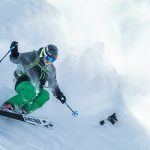 A powder ski for technicians who want to take their melodiously perfect technique into the softer snow conditions, the Enforcer 110 features easy turn initiation, solid stability, and the kind of clean carve that leaves razor-perfect tracks in the off-piste. This isn’t a nimble ski for porpoising through the trees. 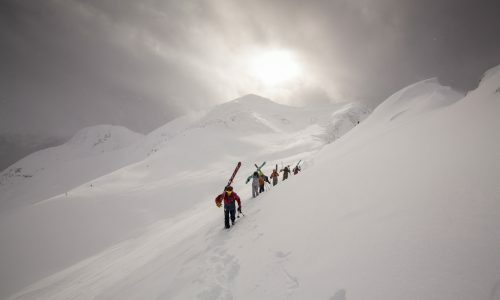 It can feel a little heavy compared to skis like the Dynastar Legend 96 and Fischer Ranger 108. It’s also not the quickest ski from edge-to-edge. Built with Nordica’s All-Mountain camRock design, with about 25 percent rise in the shovel and 5 percent in the tail, it initiates cleanly and quickly in mid to long-radius turns, with a core consisting of a mix of Titanium and balsa for power and a predictably progressive flex. As you would expect with a ski built on the Enforcer footprint, this ski can also hold a good edge on the hardpack. It’s a great addition to an already strong lineup. The Nordica Enforcer 110 is a powder ski for carvers. It’s well-built, and well-balanced, with an ease of turn initiation and strong edge hold that makes it a perfect match for GS-style skiers (think former racers or top instructors) who want to make metronomically rhythmic arcs straight down the fall-line in the powder and crud. 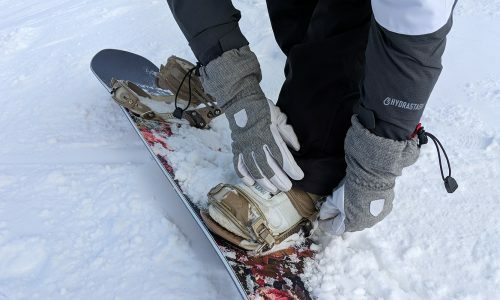 Nordica’s camRock early rise profile, with significant rocker (about 25 percent) in the shovel, and a Hammerhead Nose for stability and superior snow displacement, makes the ski easy to initiate. 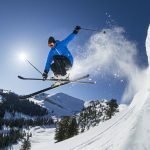 The suppleness of a balsa core, combined with two layers of Titanal, enhance that initiation with a predictably progressive flex that smoothly eases the ski into a mid-radius turn, with confidence-building grip. 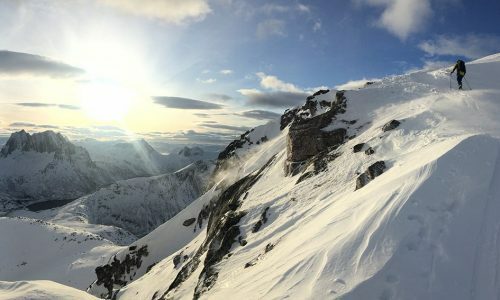 The ski really is fun to arc once you get into a groove, with about an 18-meter radius that eats up vertical without feeling rushed. The ski does feel a little heavy when compared to skis like Fischer’s Ranger 108 Ti, or the Atomic Backland. It’s not as nimble as the Dynastar Legend, or as versatile as the Blizzard Rustler 110. If you take the ski out of its mid to long-radius comfort zone, it can also feel a little sluggish edge-to-edge. If you love making that medium-radius turn (and who doesn’t? ), you can make it all over the mountain on the Enforcer 110, from the powder to the crud to hardpack on the final pitch back to the lift, where this ski continues to edge. 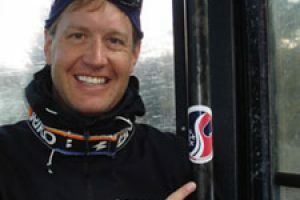 The Nordica Enforcer 110 earned two 10s (out of a possible 10) in the Overall classification, including one from a tester who named it his “Favorite” ski in the Powder Category. 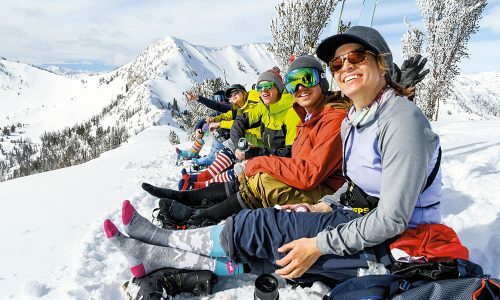 About half of the testers ranked the ski as “Excellent,” with Overall scores of 8, and 25 percent ranked it “Good,” with an Overall score of 6. The lower scores focused on the ski’s singular turn shape, and penchant for carving rather than schmearing. The higher scores loved the off- and on-piste carving capability of the Enforcer 110. There was one score of 10 in the Sluff-ability classification, from the tester who named the Enforcer 110 his favorite ski in the category. The majority of scores were 7s, with a few 8s, as the ski’s preference for accurate arcs didn’t completely crossover to sliding in the sluff. The extra wide waist width of the Enforcer 110 (one of the widest in this category), along with its two layers of Titanal and carbon, help create a very stable ski. The predictable turn shape and ease of turn initiation only reinforce that. Stability scores for the Enforcer 110 were 10s and 8s on every tester’s sheet. 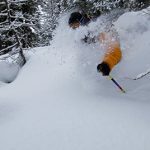 The camRock early rise profile certainly improved how well this ski could porpoise off-piste, although not as well as a ski like the Atomic Backland or Blizzard Rustler 110. Solid 8s and 7s here, which were near the top of the class. There was only one 6 in this classification, from the lone tester who also gave the Enforcer 110 an Overall rating of 6. Like every other Enforcer we have tested, the rest of the test team gave this ski Hard Snow Pleasure ratings of 8s and 10s. The Enforcer 110 is a great ski for anyone who loves the beauty of a well-balanced arc.